Winter effects! 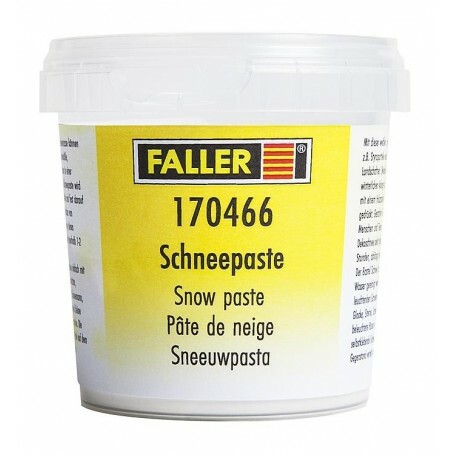 Very fine lightweight snow paste that is directly applied, spread and modelled with a paint-brush or a spatula onto the desired support. Shows good stability after processing. On grounds of its lightweight, nearly fluffy nature that paste is particularly suitable for light snow decoration, e.g. on trees, on buildings or to model heaps of snow. Drying time: approx. 2 to 3 hours.